Should have said, “a round” or “a circle”. It’s quite a powerful ability to create an circular array of instanced objects, but if the pivot for the whole object is in the center, well… it looses a lot of it’s use. 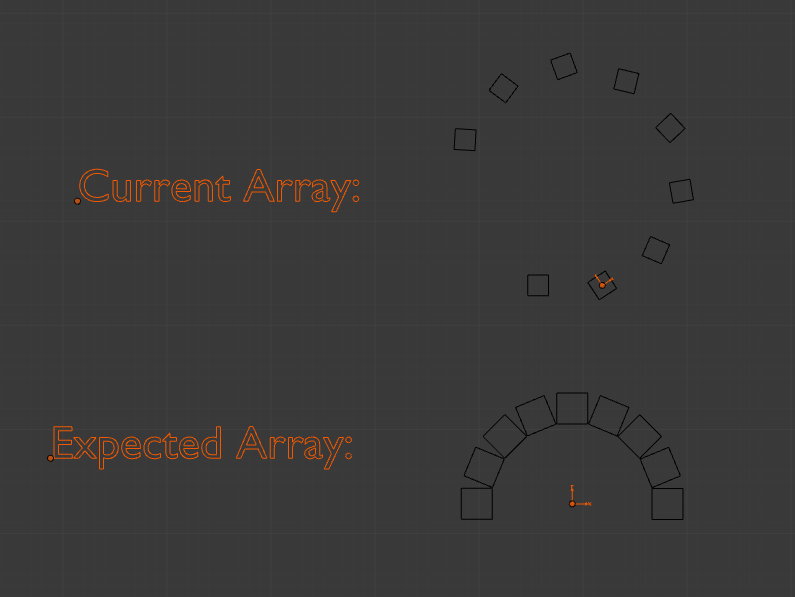 How to make a circular array using offset object as center presents some options. A Microsoft sponsored talk that was presented at SIGGRAPH 2011 in Vancouver. As Ben Staples says, “This whole clip is amazing, but long… If you only check out a portion watch at 3:42“. It creates geometry and textures in real-time. They also use this geometry information for dynamic collisions (which is what Ben is referring to at 3:42). Also checkout the object tracking on the teapot. “Playing”? Did I really just say “PLAYING”? It must have been due to the time I had off today. Working on legal stuff (wee), therefore I was away from the PC for most of the day. After completing my errands, I sat down at my desktop machine, booted up Linux and started playing around with 3D Coat. 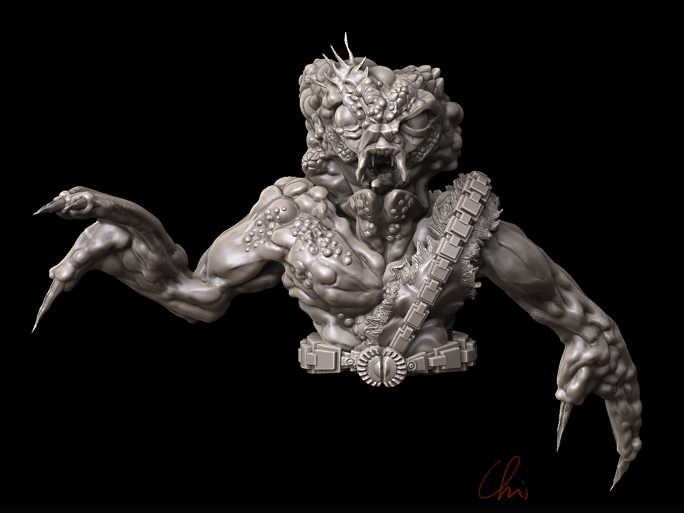 It’s similar to ZBrush, in that you can use a drawing tablet to sculpt 3D geometry. BUT, there’s a key difference. This uses voxels. That means that you can literally scupt like clay. There are non usual polygon limitations. When you’re done, it’s got plenty of simple retopologizing tools. Seriously, this has been heaven. I was curious to see what others have done with the tool. Like myself, people don’t taste it and just walk away, they dive in! This has created a full on 3D sculpting addict out of us. For example, while looking at this thread, I thought, “Yeah, this is neat and that’s ok.” But then I saw the image below and had to take a step back. It doesn’t feel like your classic ZBrush results. The results from 3D Coat seem to have a more dynamic feel. Then there’s Ondrej Svadlena, who is praising 3D Coat with, “the voxel sculpting and quadrangulation saved me a lot of time and made things possible that I would probably have never achieved with any other software!” Looking at the images from his short, “Mrdrchain”, I can see what he means. I hope I remember to check back in to see the completed short. In the meantime, you can watch his bizarre short, “Sanitkasan“. 3D Coat doesn’t just sculpt. This voxel stuff is actually relatively new to the package. Apparently it’s primarily used for texturing. Brett Simms has some stunning results in the forums. While tooling around, I discovered some people using Silo to model, then bringing the resulting models into 3D Coat. Silo? Whassat? That will probably end up in it’s own entry one day. So many products out there that I’ve not been aware of.